The second excavation where digital recording took place was at The Ness of Brodgar, situated on an isthmus between the Standing Stones of Stenness and the Ring of Brodgar, in Stenness, Orkney. This site is positioned between the lochs of Stenness and Harray and lies within the inner buffer zone of the World Heritage Site known as the ‘Heart of Neolithic Orkney’. 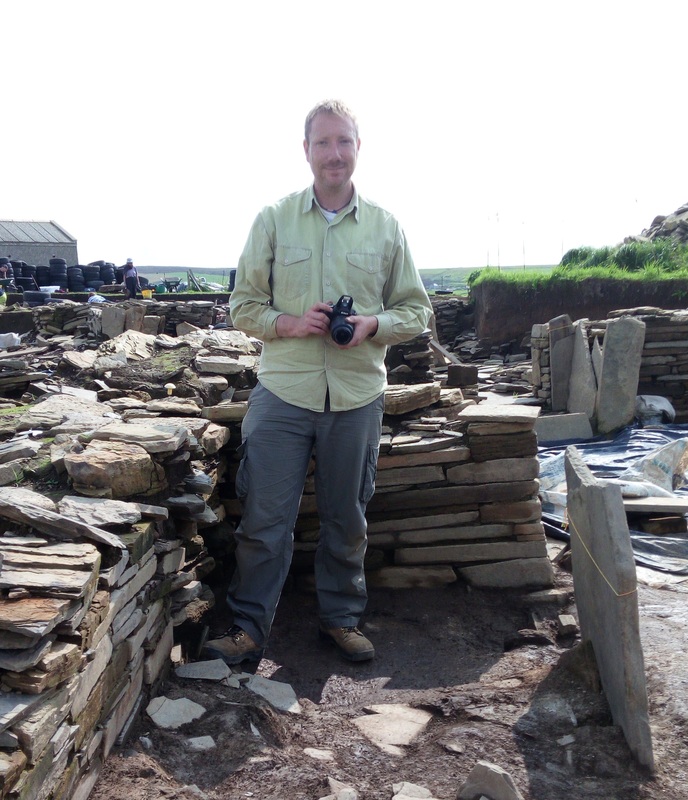 I expect many will be familiar with this site due to its numerous appearances on the television, most recently on the BBC documentary, Britain’s Ancient Capital: Secrets of Orkney. Excavations have taken place here since 2003, after geophysical surveys in 2002 revealed the extent of a large structure and areas of interest. Today the Ness of Brodgar is arguably the most significant Neolithic site in Britain.The main tools I used throughout the placement were my camera, a Nikon D60 SLR and the software AgiSoft PhotoScan. The process of creating a good 3D model of a structure or item is a multi-phased one. Firstly I’d photograph around the object or area for modelling, making sure I took overlapping photographs at every angle. Once all the photos had been taken they are uploaded into the software where I check each photo, removing any blurry or unwanted areas of a photograph using the masking tool. This tool tells the software to ignore the parts of a photo that you don’t want processed. The alignment process can then begin, this is where the software takes millions of points in each photograph, compares them to the other photographs to identify the position and angle in which they were taken, and from this it can generate a base point cloud, as you can see in the picture below. 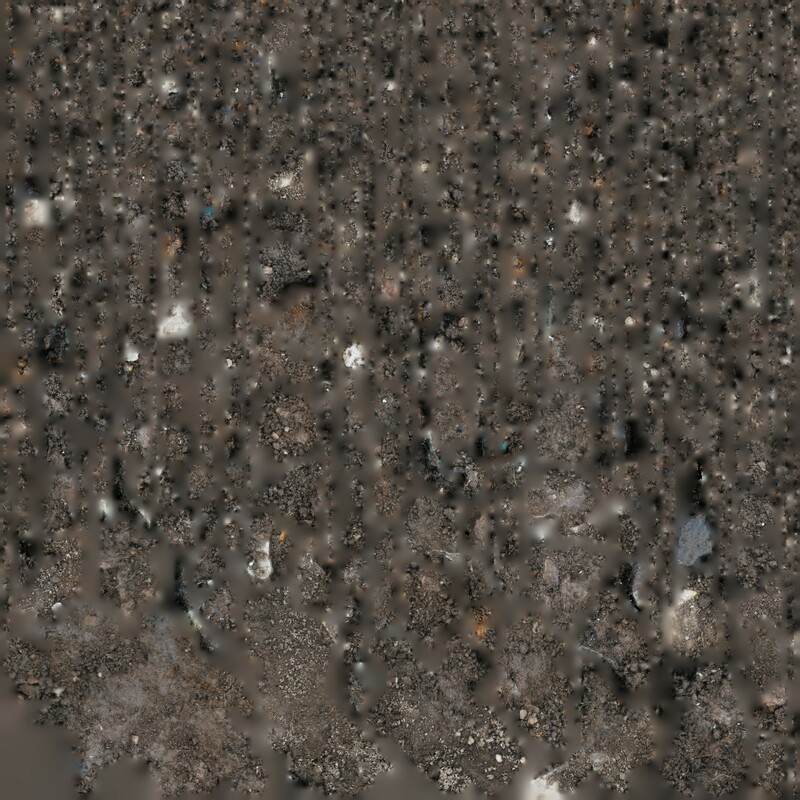 Once this is done, any potential errors or bad data can be removed by selecting certain parameters in the software before beginning the dense point cloud generation, this is where millions of points in a model are created as you can see in the two pictures below, the top image is of the whole model and the bottom one is zoomed right in so you can see all the points which make up the model. Once the dense point cloud has been made, the model is trimmed and tidied before creating the wireframe mesh, this is where the points are essentially joined up, and millions of triangles or faces are created ready for textures to be painted onto them. The texture file is made up of all the photographs taken to create the model which will then be wrapped around the mesh. The texture generation is the final process in the workflow of creating a 3D model. You can see what the wireframe model looks like in the pictures above, and what the texture file, which gets wrapped around the 3D model, looks like in the picture below. 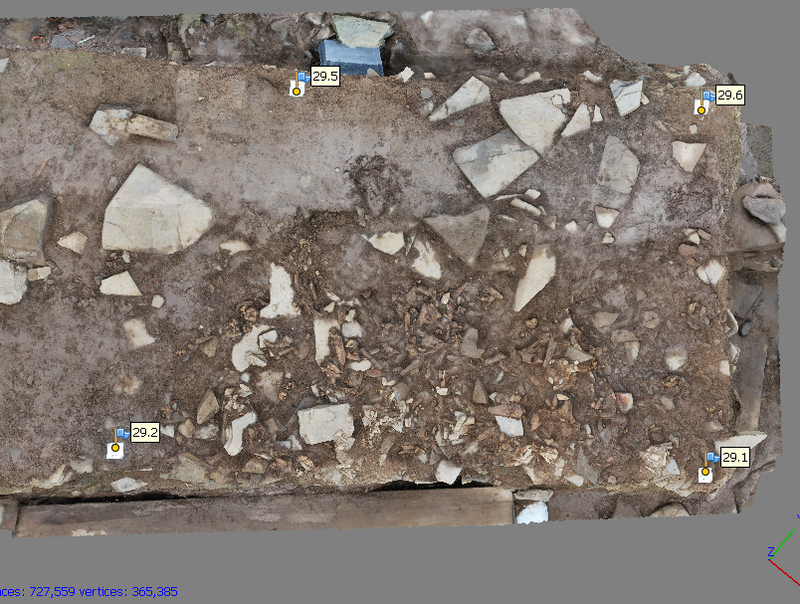 Once the workflow process has finished, we have our 3D model of the in-situ find, as can be seen in the picture below. The 3D models I had created at the Cairns excavations were disseminated to the public and could be used as an addition to the archaeological record of certain trenches, where I created models at different phases of excavation. One critical piece of data was missing from these models however, which would become a game changer when I moved on to the Ness of Brodgar excavations. That data was geolocation coordinates recorded using a total station theodolite (an electronic/optical instrument used for surveying and building construction). I used coded targets which could be generated and printed off using the PhotoScan software and placed around the area to be recorded using photogrammetry. The software recognises these targets as each one is slightly different, and it creates markers over each one in the 3D model. The exact positons of each target are then ‘zapped’ in to the total station which I could then gather from the geomatics officer and enter into the software, as can be seen in the image below. Once input, the ruler tool becomes available in the software, which lets the user measure the 3D model down to the nearest millimetre. Due to the accuracy of this tool, the site director and some of the other structure supervisors decided to use the models instead of traditionally planning certain areas, and this is where the work really came in to its own. There were issues which became apparent when undertaking the work, especially as the popularity and requirement for the models to be made became greater. One issue was the time it took to create the models. Taking the photos wouldn’t take that long, around 15 to 30 minutes depending on the size of the area, however processing of the models on the laptop could take anything from 2 – 6 hours. 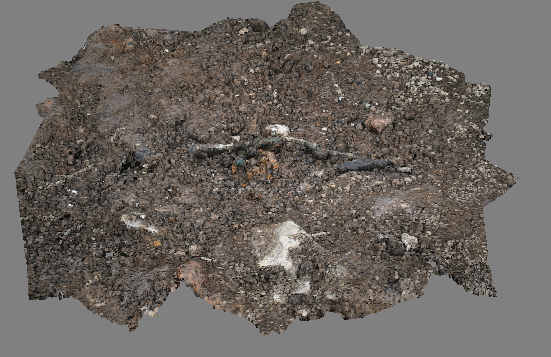 This meant if the models were to be used instead of planning, excavation of the area being processed would have to halt until I could be sure the 3D model would work. Over time I learned how to speed up this process, you can process each step in the workflow at differing levels of quality. Therefore, I’d run the process at lower quality initially, so I could tell if the model would align correctly, and then I could let the supervisor know so they could continue excavation. I’d then generate a higher quality version of the 3D model in the evenings. Sometimes the models wouldn’t align, especially when I first started to create them, as you need to to build up a knowledge of how to take the right photos to get a working model. Another issue as the work became more popular was that quite often, more than one area was ready for photogrammetry at the same time, resulting in the need to plan between structure supervisors when I would be able to work in their area. Weather also has a big influence, especially if it’s sunny, the shadows cast can cause problems with model generation. Despite some of the small issues and problems I’ve described, the technique had proved itself to be very useful. A later phased wall in one of the structures at the Ness of Brodgar was to be removed, so after discussion with the site director and structure supervisor it was decided that I’d undertake photogrammetry of the wall as each course was removed. This proved very successful in a number of ways. Firstly the fact that the wall was digitally recorded in this way proved of interest to the public, with the models being shared and disseminated online, always good publicity. Secondly, and more importantly for my research, this proved useful for the supervisor of the structure, who had come to me on a few occasions, asking to see models of particular sections of the wall recorded at a particular time, in order to ascertain where some of the stones had been before removal. This could have been done by looking at some of the plans, however seeing the models in 3D in this way made it much easier to identify the stones and their position. Therefore being on the site every day, ready to record the next phase of removal was proving to be of use. I’d learned a lot from my time at the Cairns and the Ness about the use of this technology, it’s very cheap compared to other recording technologies such as laser scanning and it’s fast compared to sketch planning an entire structure, however it’s certainly a skill set which needs to be learned and practiced in order to get 3D models of a quality which are acceptable for the site records. 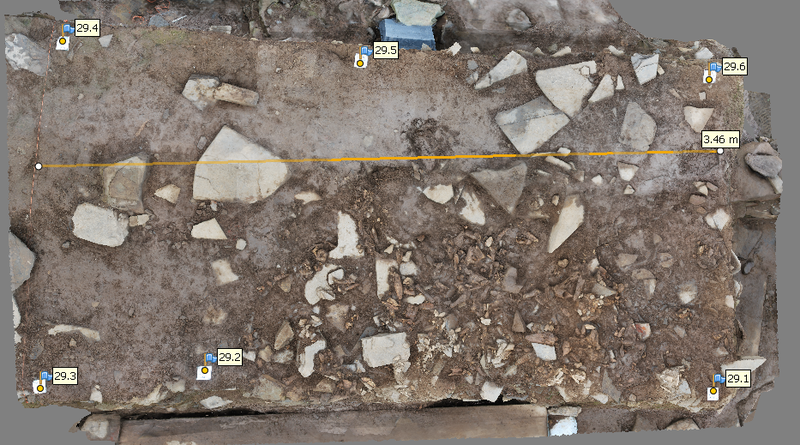 After speaking with some of the other archaeologists at the Ness of Brodgar, I learned that commercial units are just starting to use 3D models at other sites, so this is potentially something that will really take off in coming years. 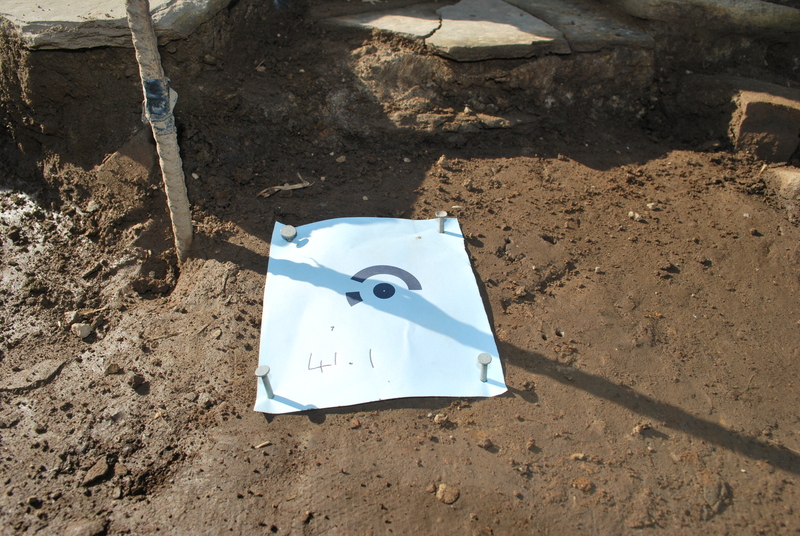 The structure supervisors found the models very useful, and by the end of the season, I was printing out images of the models at different angles at the request of the supervisors, which they used to draw on, to aid in interpretation and excavation. For the entirety of my placement, I had created around 100 models and took over 20,000 photos generating 135 Gigabytes of data. There are still some models which I need to process and I’ll be continuing to work on models from the Ness of Brodgar and The Cairns. 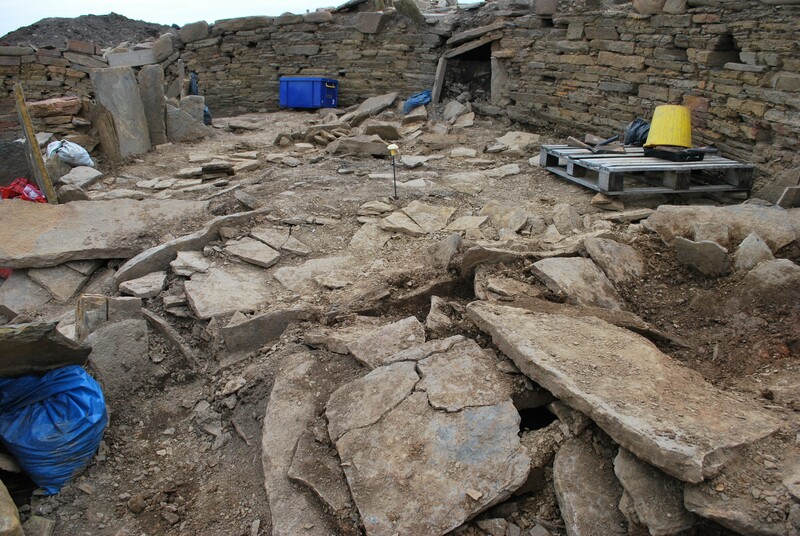 Reblogged this on Archaeology Orkney. Thank you so much for sharing! This is really fascinating. 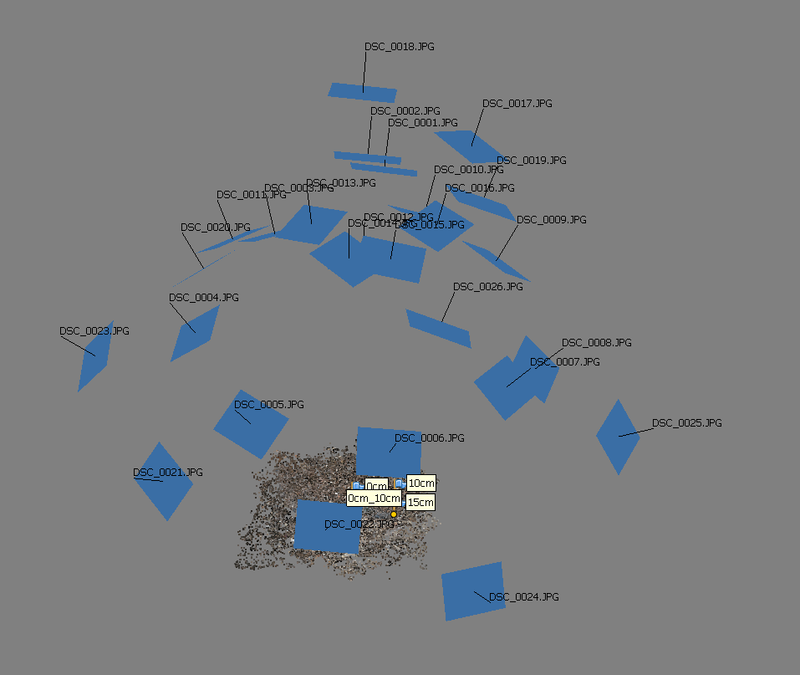 The image entitled “Generated wireframe mesh of in-situ find zoomed in” – Art & Archaeology. That wouldn’t be out of place in the Pier Arts Centre.